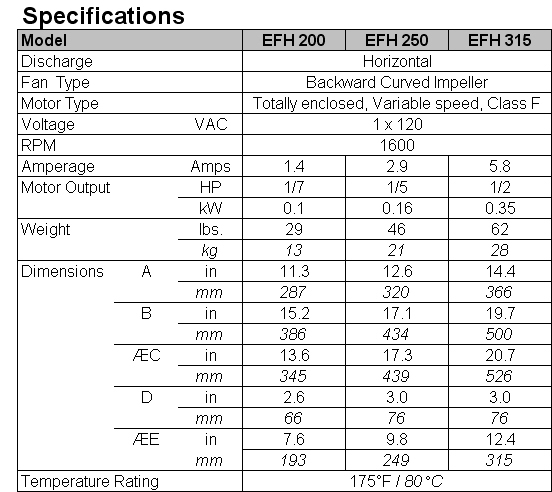 Enervex Fan Source... EFH 200 Exhaust Fan. An economical option over a GSV or RS fan where up to 600 CFM's is required. 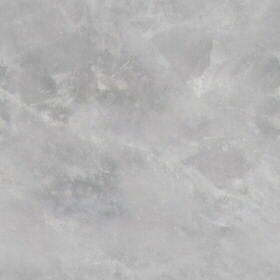 Usage includes exhausting kitchen hoods, gas fireplaces, bathrooms and maintaining negative pressure in duct systems. 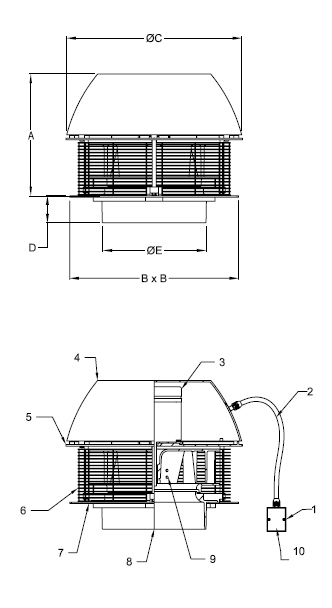 The Enervex model EFH Exhaust Fan is designed to provide exhaust in single and multi-story buildings. The fan assures that a neutral or negative pressure is maintained in the entire duct system. This product is designed to prevent draft problems from occurring by creating mechanical draft in venting systems and thereby increasing the capacity and efficiency of a venting system. The fan discharges horizontally at a high velocity. The top of the fan housing can be opened for easy service and access to duct. The fan must be mounted at the duct termination, in the vertical position. 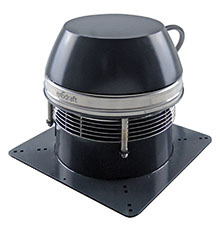 The Enervex EFH fan is designed to provide exhaust to kitchens, bathrooms, and other building exhaust applications where the duct temperature does not exceed 175F. 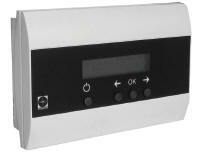 The ADC 100 control allows for interlocking gas burning fireplaces and other appliances using milli-volt, 24v or 115v. All you have to do is turn on your fireplace, and the fan automatically turns on and goes to the correct setting. The fan housing is 3/16” cast aluminum. A coat of grey hammer paint is applied for added corrosion resistance. A backward curved impeller is made of cast aluminum. It is statically and dynamically balanced to assure minimal noise and vibration during operation. 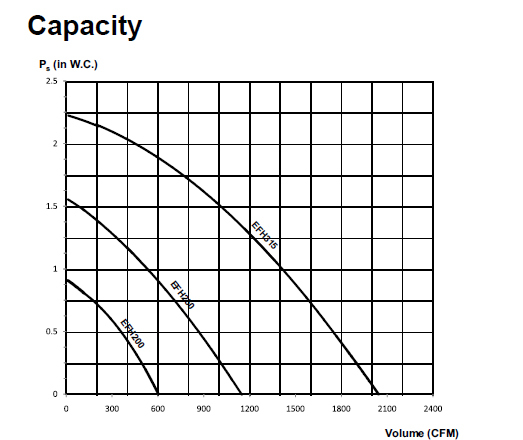 ETL listed to UL 705, Standard for Power Ventilators, 6th ed. - 10-year warranty against corrosion perforation. Split capacitor, totally enclosed. Class F insulated, IP54 Protection Class. Variable Speed. Thermal overload protection.